Hey there friends. 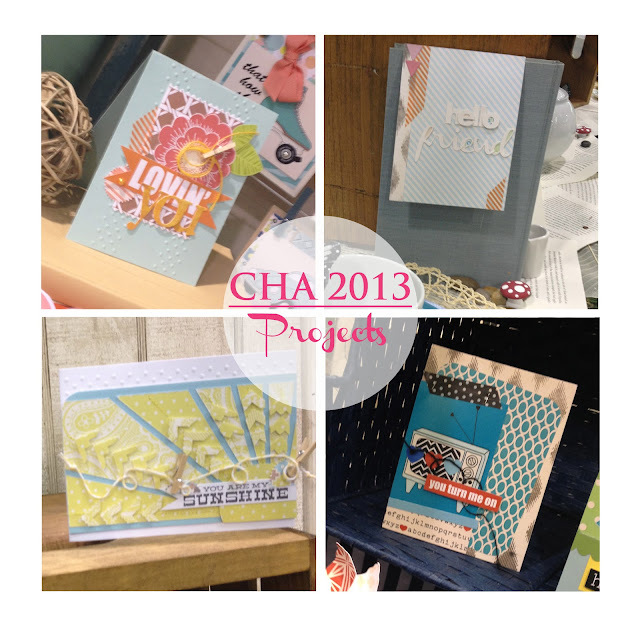 This year I saw my cards at CHA in the GCD Studios booth. Let me tell you...I was excited! Beyond excited. No matter what design team I am, or how many projects of mine are published, it was super cool seeing my projects at the industry's main event. The cards that were displayed in the booth are simple cards to make. Stay tuned for posts in the next month that teach you how to make the cards shown above, plus two more cards not shown here! Don't forget that I am hosting CHA 2013 giveaways on my blog everyday this week, and fan giveaways at my facebook page. Click here to learn more details. Looking forward to seeing your instructions. Love the Sunshine card. Cool cards! That must have been exciting to see them!